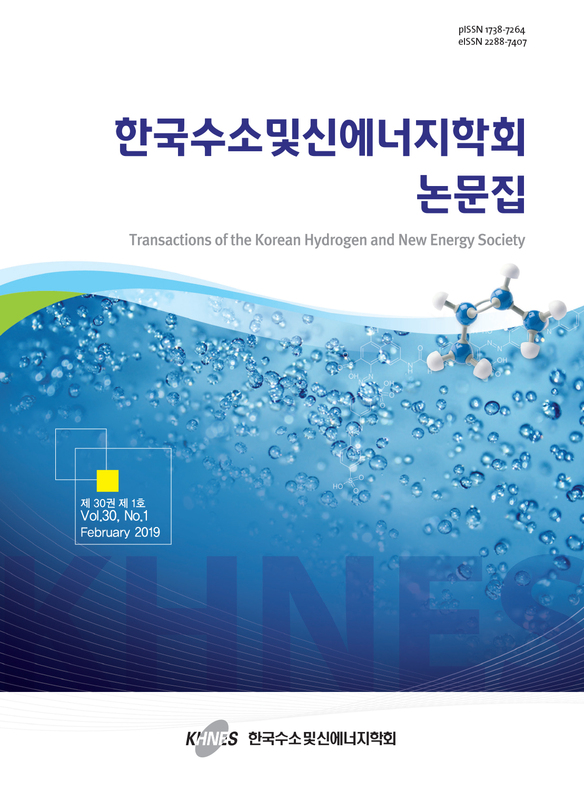 The Transactions of the Korean Hydrogen and New Energy Society aims to provide a forum for information on research, development and demonstration in the areas of hydrogen and new energy. The journal publishes original research and reviews covering all aspects of hydrogen production, storage and utilization as well as new and renewable energy for sustainable energy systems. These regulations concern the composition and management of the Research Ethics Committee (hereinafter, “Comm ittee”) for the prevention of research misconduct related to the academic activities, such as the publications and presenta tions, of the Korean Hydrogen & New Energy Society (hereinafter, “Society”) and for the securing of research ethics. ①The Committee shall consist of the chairman and four committee members. ②The chairman shall be a science member and vice president of the academic council, and the committee members shall be appointed by the president through an election among the Executive Board members. ③The term of office of the chairman and the committee members shall be two years. 5)Handling of matters regarding the improvement and enhancement of other areas of research ethics. ①The chairman shall call meetings of the Committee as needed and hold them with the majority of the current members in attendance, and shall set the meeting agenda with two-thirds of the current members. ②The set agenda shall be disclosed to the suspect (the party sued), and the suspect’s explanatory materials in writing shall be reviewed within 10 days. ③The Committee shall examine the explanatory materials from the suspect or make a final decision on the matter by listening to the explanation of the suspect. ④The Committee shall make a final decision by reporting the set agenda to the Executive Board. ⑤The chairman can listen to the opinion of an outsider or a person other than a committee member in case he/she deems it necessary to do so. ① “Research misconduct” refers to forgery, falsification, plagiarism or any unfair act such as displaying the name of an author of a dissertation, which was committed in a publication presented in a Society collection of dissertations and presentations at academic conferences, etc., such as the following. 1.“Forgery” refers to the fraudulent use of non-existent data, research results, etc. 2.“Falsification” refers to an act of distorting research contents or results by artificially manipulating the research materials/equipment/process or by arbitrarily transforming and deleting data. 3.“Plagiarism” refers to the act of pirating other people’s ideas and research contents/results, etc. without their justifiable approval or citation. 4.“Unfair act of not displaying the name of the author of a dissertation” refers to the non-disclosure of the qualifications of the author of a dissertation to a person who has made a scientific/technological contribution or donation in relation to the research content or results, without a just reason, or to the disclosure of the qualifications of the author of a dissertation to a person who has not made a scientific/technological contribution or donation, as a token of appreciation or out of courtesy. 5.An act of deliberately obstructing the investigation of suspicions of the very person’s or other people’s misconduct or an act of harming an informer. 6.Behavior that seriously deviates from the usually accepted scope in scientific and technological circles. ②The research institute can include the behavior that is deemed to require internal investigation or prevention among the acts of misconduct. ① A report of research misconduct shall be made in writing with the attachment of the relevant materials pertaining to the five W’s and one H.
② The Committee is required to report the review results to the Executive Board within two months after its notification. ③ The Executive Board should notify the informer on and the doer of the misconduct of the review results within 10 days. ④ The results of review of the research misconduct must not be disclosed to the public before the final results are determined. ① To an author whose research misconduct was confirmed, the following sanctions can be given in consideration of the gravity of his/her misconduct according to the decision of the Committee. ② In case an informer deliberately makes a false report on research misconduct, the same level of sanctions can be imposed on him/her as on a doer of research misconduct according to the decision of the Committee.